Landscaping makes your home feel warm, and welcoming. 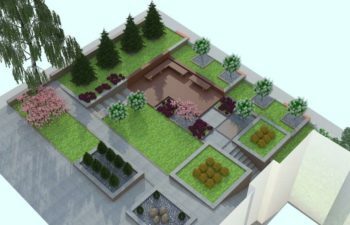 Beautiful gardens result from sticking to the principles of landscaping. With a set of rules, everything falls into the right place because you’re certain of what you want. Good designs are easy to notice because they create a bond between the garden and the house. You can enjoy an eye-catching view while you’re still inside the house thanks to your windows and doors. One step into the garden makes you to want to go further to quench your curiosity. When your eyes land on terraces of the garden, you feel that the garden has much more to offer. Pathways should be long enough to reach the doors because that’s what invites people into the garden. 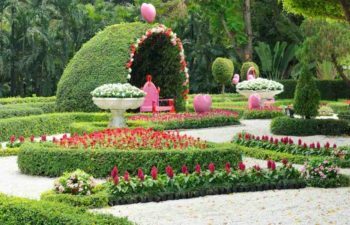 You should not beautify your garden just because you have some free time. Landscaping is done with the aim of fulfilling a need. You could be looking to create space for your dogs because you don’t want them to mess with your plants. You might also want to leave room for kids to play, or have a garden for growing some vegetables. Knowing what you want will keep you on the right track. Even if you’re newly married, you just have to think big because you might have kids and pets in future. It’s actually easier to plan for the things that are currently not in your home than to try and make them fit a few years down the line. Landscaping can also be done to create privacy and control the movements of your kids when they’re playing outside the house. 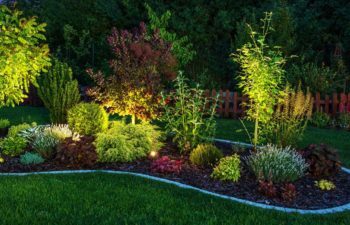 You should exercise caution when designing your landscape so that you don’t jeopardize the safety of your kids and pets. Placing a playing area close to the swimming pool or a pond could spell disaster. Areas that are reserved for children should be located far from such risky elements. Besides that, you can minimize the risk of having a pond by planting trees that limit unwanted entry. You can even construct a chain link fence around the pool and put a door that can be locked on one side. Tall trees should not obstruct your view of the garden from the house. This is because kids and pets need to be monitored, lest they get into trouble. When determining the play area for your dogs, it should be an area that’s far from the sitting area and the patio. Since friends and family will be coming over to your place from time to time, you can be sure that some of the visitors will be trickling to the garden. It’s therefore important to create paths that are not congested because they will push people to step on the grass. By rule of thumb, all main sidewalks should let two people stroll side-by-side comfortably without rubbing their shoulders. If you don’t create spacious paths, the people who frequent your garden will be forced create their own shortcuts which results in dry patches. Nowadays every residential landscape comes with a patio because people feel thrilled when they dine away from the confines of the dining room. When positioning a patio, look for an area that’s not affected by the wind. A patio should be located at the back to create privacy. The backdoor of your kitchen should open to the patio so that food and drinks can flow smoothly out of the kitchen. Driveways should also be able to accommodate your car. This is because you want to park your car where you can see it. Though most homeowners prefer to park their cars in the streets, walking all the way to your house is cumbersome when you are in a hurry. The lawn is a core element of your landscape. When leaving space for lawn, you should consider how it will be used. There is no point of creating a big space when there are few users. 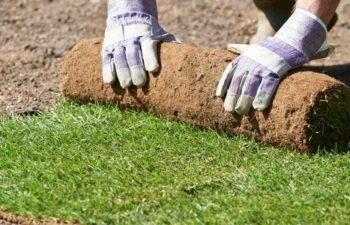 The lawn should not cover more than two thirds of the lot because too much grass-cover will take the beauty provided by the flowers away. Hills should not be included in the lawn area because they are not ideal for playing or resting. It is difficult for children to play soccer on a slope. 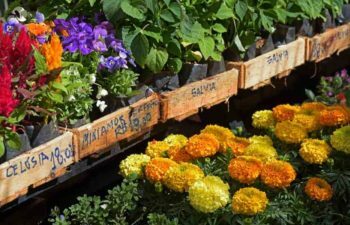 Hills are best for planting flowers and shrubs that put emphasis on your landscape. In fact, you can plant evergreen trees on hills to block wind and noise from your neighbors. 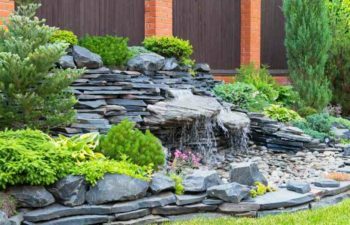 Landscapes require maintenance just like other elements in your home. The frequency of maintenance is determined by your daily schedule. 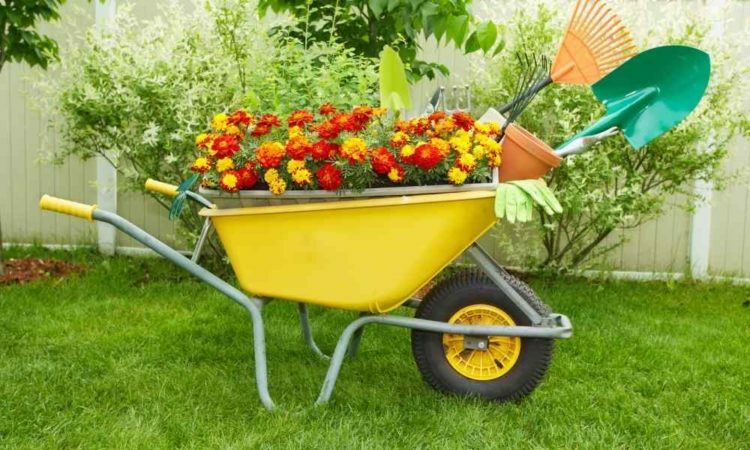 If you’re always on the go, you can only attend to your landscape once after a couple of weeks. Daily activities include watering, mowing the lawn, sweeping, and removing any dead plants. But there are other activities that are done once in a blue moon such as applying fertilizer, pruning, and shearing. If you don’t have the time to water your plants daily, you can spread wood based mulch below each plant. 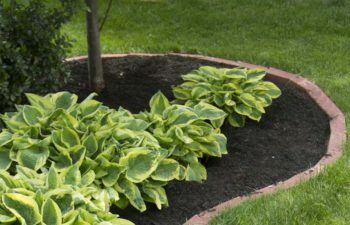 This helps in retaining water in the soil because heat is blocked by the mulch material. 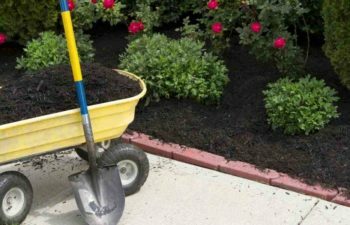 Decorative rock-mulch is not recommended because it absorbs all the heat during hot weather and causes water in the soil to evaporate. Sweeping the pathways doesn’t have to be done every day. You can sweep the paths once per week to remove any leaves that might have fallen off the trees. But you can sweep at least twice per week when the trees are shedding their leaves. Pruning is also necessary to remove any overgrown plants. Such plants make the edges look horrible. Perennial plants should be pruned in the middle of the season so that they can grow again. Fertilizer should be applied before the onset of the rains so that the nutrients can be taken in by the soil during wet weather.